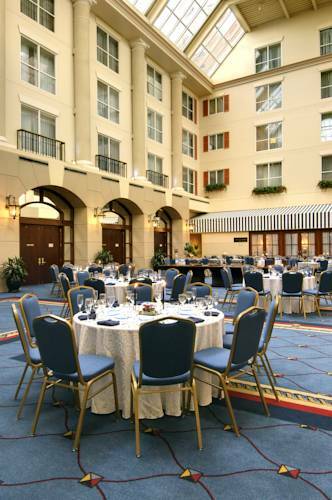 Located in the heart of the historic and uptown districts of Annapolis - Loews Hotel offers you a uniquely local experience with a wealth of nearby attractions and activities. All the must see places and must do activities are just outside our doorstep. A few activities to enjoy in Annapolis a waterfront stroll on City Dock - a guided walking tour of the US Naval Academy - exploring the colonial homes of our Founding Fathers - unique shopping and dining venues. Located in historic and uptown district of Annapolis - Loews Annapolis Hotel offers you a uniquely local experience with a wealth of nearby attractions and activities. All the must-see places and must-do activities are just outside our doorstep. As the State Capital of Maryland - Annapolis is rich in African American History - the Naval Academy and other cultural activities. St. Johns College - Art Galleries - and exquisite dining also bring travelers to this historic seaside town.